Home » Bollywood News » Has Aamir Khan roped in Dangal co-star Fatima Shaikh for Secret Superstar? 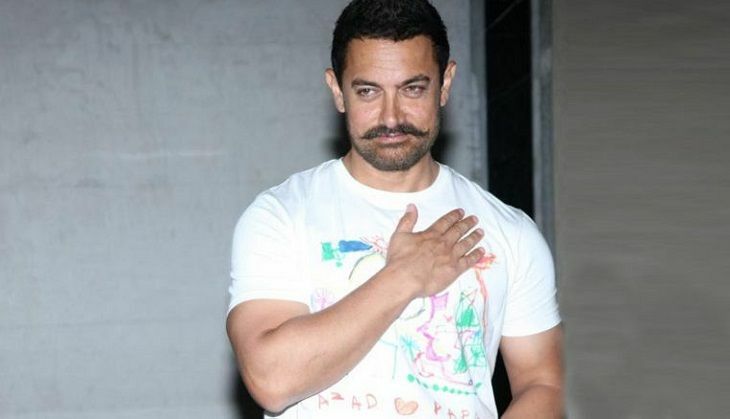 Aamir Khan, who is currently busy with Dangal, has already begun the pre-production work for his next film, tentatively titled Secret Superstar. The film, which will be directed by Advait Chandan, will reportedly chronicle the journey of a Muslim girl from a conservative background as she struggles to find fame in the world of playback singing. Aamir Khan plays a supporting role in the film - that of a music composer. The film will be produced under the Dangal's star's home productions, Aamir Khan Productions. According to media reports, Aamir Khan has suggested the director Advait Chandan cast Fatima Sana Shaikh for the lead role in the film. Fatima is set to make her Bollywood debut with Dangal, which will feature her playing the role of Aamir Khan's daughter - who represents the Indian contingent in wrestling at the Olympics. The makers of Secret Superstar are also on the lookout for an actor to play Fatima's mother in the film. The film, which is expected to go on floors in August/September, will hit the big screen in the first half of 2017.